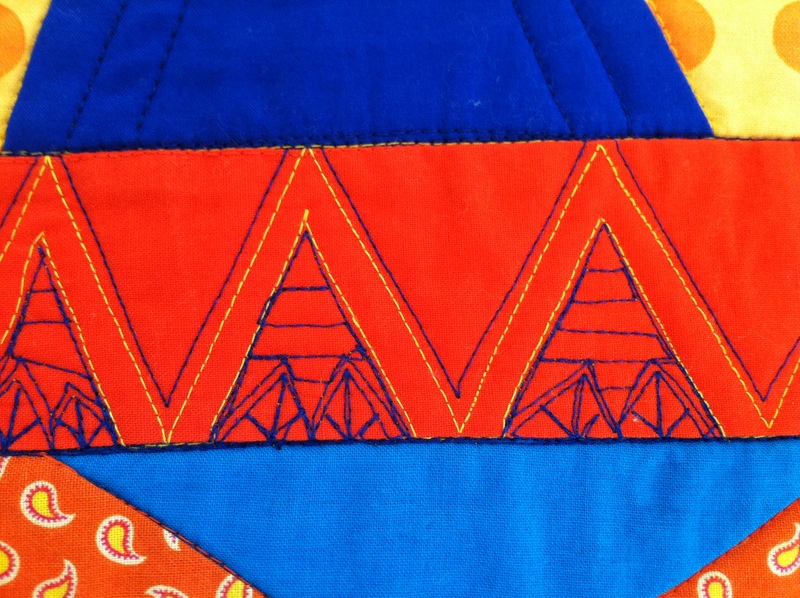 ← Baby quilt finished at the last minute! 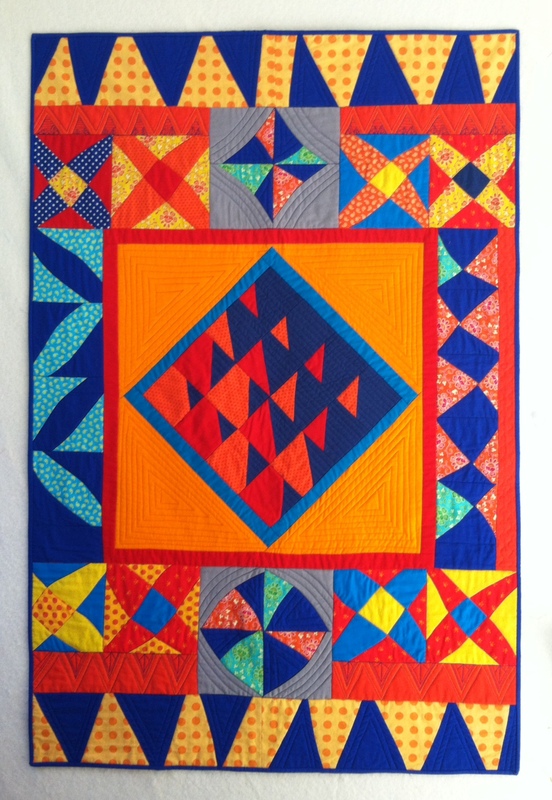 This quilt, titled Inspired By Sujata, was the last quilt I finished in 2018. I just realized I never posted a photo of it. I started it in Sujata Shah’s EBHQ class. I started laying it out on a design wall in Maria Shell’s EBHQ class. 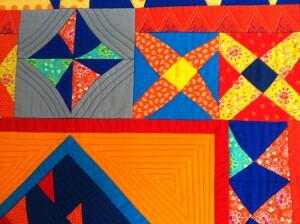 I think it was called kitchen sink quilting. The idea was to take a bunch of blocks and make a quilt out of them- kind of like what Gwen Marston and Freddie Moran do with their parts department quilts. 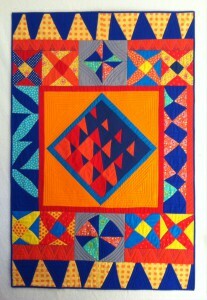 This entry was posted in Classes, EBHQ, Improvisational piecing. Bookmark the permalink.